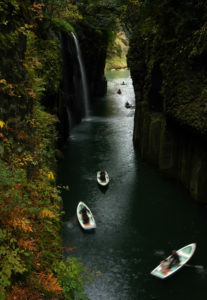 When I lived in Tokyo (more than 10 years ago), I once saw a free travel magazine at one of JR stations on my way to work with an otherworldly picture on the cover: a narrow river gorge with a waterfall falling from one side directly into that river, and some rowing boats cruising around. The magazine invited to visit Takachiho. I did some digging and discovered that this place of natural beauty is located on Kyushu and isn’t easy to get to, especially from Tokyo. There’s no rail service to it, only a long distance bus either from Kumamoto or Nobeoka (Miyazaki prefecture). It was impossible to go there on a weekend trip. It wasn’t until 2009 (by that time I already left Japan and was residing in another country) that I could make this trip happen. 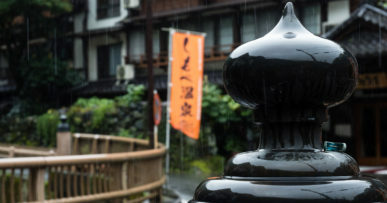 I didn’t go anywhere else in Kumamoto then – just hopped on that bus that took me to Takachiho and stayed there for 1 night. 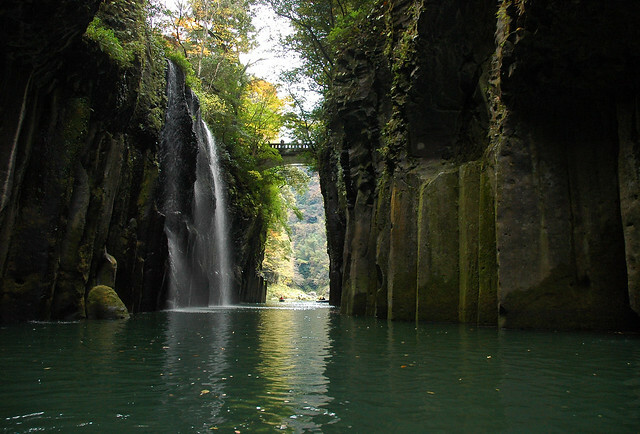 I saw the Takachiho gorge, and made some pictures of my own, not much worse than those in the fateful magazine. I went on a boat ride and saw a Yokagura dance in the evening, and the next day visited the legendary Amano Iwato shrine that made an everlasting impression on me, so much so that in 2016, planning a road trip around Aso, I knew I had to make a detour and go to Takachiho again. 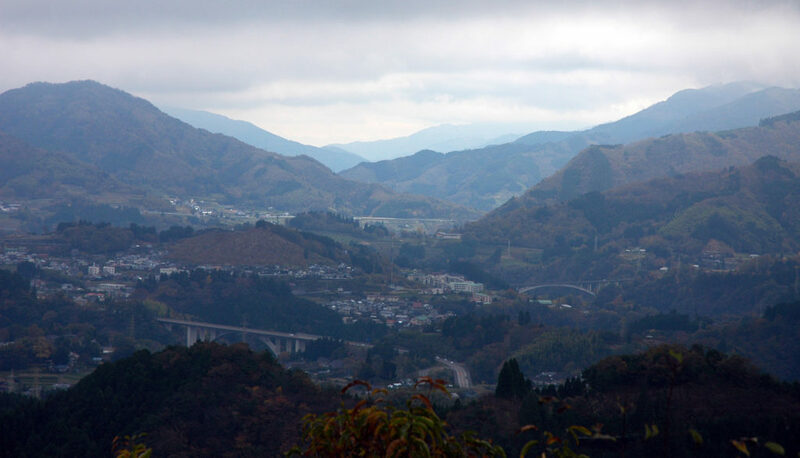 By car it’s a very easy and short drive from Aso. 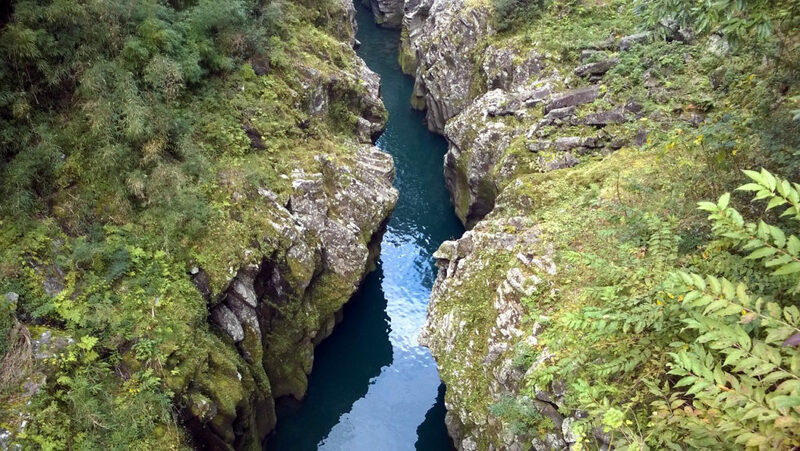 Again I went to Takachiho gorge, but this time to another (less visited) side of it. I stopped at the Kunimigaoka viewpoint (again) for some panoramic views. And, of course, I paid my respects to the gods at the Amano Iwato shrine. Too bad my camera broke, I only have cellphone pictures from 2016 visit. 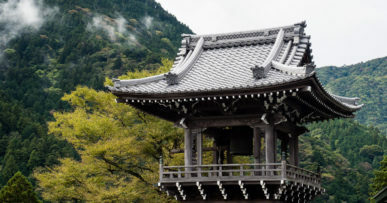 I’m sure there’s much more to see and do in Takachiho. Maybe – hopefully – another time.